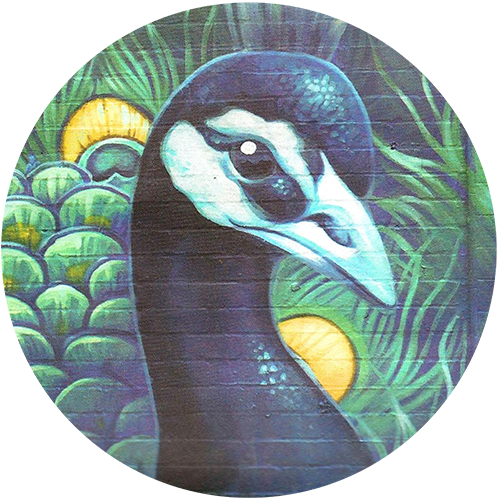 I was once again selected for a commission by the Maribyrnong City Council's StreetWORKS Project, revitalising urban spaces through street art. This year, I worked in collaboration with Bharat Traders, a supermarket of Indian products on Barkly Street (Footscray). Barkly street is home to people of various ages and cultures, with many diverse businesses and lots of festivals along the year. With the help of local people, I designed a vibrant image inspired by the neighbourhood, completely transforming the white street corner into an art piece full of colour and movement. Mais uma vez eu fui selecionada para participar no programa StreetWORKS, da prefeitura de Maribyrnong aqui em Victoria, Austrália. Nesse ano, eu colaborei com Bharat Traders, uma loja de produtos indianos na Barkly Street, em Footscray. Barkly Street é uma avenida com uma comunidade de pessoas de muitas idades e culturas, vários negócios diversos e festivais culturais. Com a ajuda das pessoas locais, eu desenvolvi uma arte vibrante inspirada pelo lugar, transformando a esquina branca em uma peça cheia de cor e movimento. Interview about the project printed in The Westsider newspaper. Article printed in the Summer 2017 edition of the council's arts and culture magazine.